Engaged in providing services such as engineering data services. The market data engine components collects all the tick data from the matching engine or external exchange and stores it in tick as well as OHLC format. The historical data server manages all the tick/OHLC data and manages various caches for speed. The market data engine disseminates the quotes stream to various clients connected thru it. Our expertise in advanced analytics is backed by strong capabilities in data engineering for both traditional and big data needs. Whether it is fetching and managing data or building and integrating analytics solutions, our engineers are intimately familiar with state-of-the art technologies and customize the solution as per client needs and constraints. We capture all possible data of your customer purchases.Understanding statistical models of shopping & repeat sales , loyalty use, points consumption will help you to increase profits & launch different campaign. GDS has the best Engineering Services team, which handles are your business needs & requirements, by suggesting and designing the best suited technologies for you to reap strategic benefits. 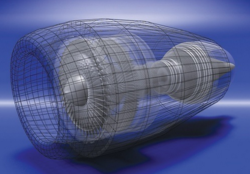 GDS provides multi-platform expertise like in CAD/CAM/CAE. SPAN’s Data Engineering practice inherits years of experience in working with disparate OLTP systems and applications. Since the initiation of the this practice, we have developed and integrated data engineering solutions and been involved in building, managing Data marts / Data warehouse and Report writing using commercial, open source ETL, and OLAP tools. The usefulness of any geospatial system is dependent on the quality of its data. If geospatial data is inaccessible, stored in multiple sources, lacking in spatial accuracy, incomplete, or otherwise incorrect, such quality issues may prevent your organization from deriving maximum benefit from your GIS. We specialize in the design and ongoing support of data centers, computer rooms, web-hosting facilities, network operations centers, telecommunications centers, as well as other highly technical facilities with always ready requirements. Nikom Infra Solutions Pvt. Ltd.